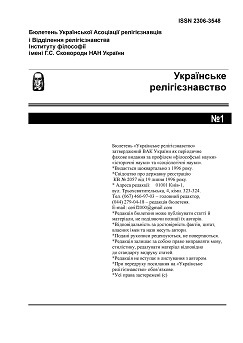 By the decree of the Presidium of the Higher Attestation Commission of Ukraine of 08.02.1996. Approved composition of the Specialized Academic Council D. 01.25.05 on specialty 05.00.11 - Religious studies. The Council was established at the Department of Religious Studies at the Institute of Philosophy of the National Academy of Sciences of Ukraine. Being the only one in Ukraine on its profile, it is the main link in the system of certification of scientific personnel of the highest qualification in this specialty.